Call Bristol Drains when you need to know why your drains are blocked. It takes a trained and certified professional to determine exactly what is causing the problem. Accredited operations and procedures as certified by the Block Drain ISO 9001 Standards. 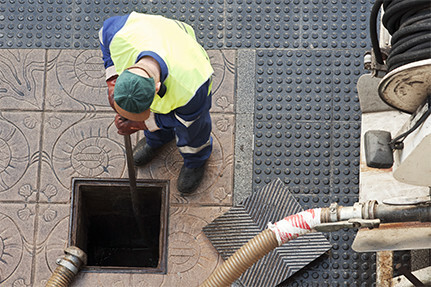 With our experience in the field, the solution to a blocked drain can be simple or complex. Typically we see that the drainpipes have collapsed or tree roots have a stranglehold causing the blockage. Bristol Drains uses diesel high-powered jetters to solve standard blockages and most times the job is done on the stop and corrected. However, if it is something more serious like a collapsed drain then we offer a free quote. We have the expertise, machinery and experience to unblock your drain quickly, efficiently and at a value price. Call 24x7 for an immediate response. Serving Bristol and southern Bristol.